You can now download the pre-alpha and alpha 1 of the Hello Neighbor game for free. Dynamic Pixels made this a possibility back in December 2016, though players are still wondering how they can get into the early demos. At this time, the only way to get a free version of the game is through the official website. It’s important to note that these very early prototypes that do not include all the latest features, upgrades to the AI, expansions to the house, or final art style. They only run on a 64-bit version of Windows and do not include the popular Hello Neighbor Alpha 2 demo that many popular YouTube Let’s Players have been trying. If all this doesn’t deter you and you would still like to try the Hello Neighbor game for free, playing these older versions are a great way to experience what is now considered the “core gameplay” and allows you to get familiar with breaking into the neighbor’s mysterious basement. You can still get access to all the latest updates including the alpha 2 and 3 versions of the stealth horror title by buying into the Hello Neighbor Early Access which is also only available on HelloNeighborGame.com. In the latest alphas, players can try out many new mechanics, search a new and explorable second floor to the house, get a taste for the final art style, and play against smarter AI. If you’d rather wait for the final product, the release is scheduled for Summer of 2017 which is right around the corner. To stay on top of updates, make sure to add the game to your wishlist on Steam. 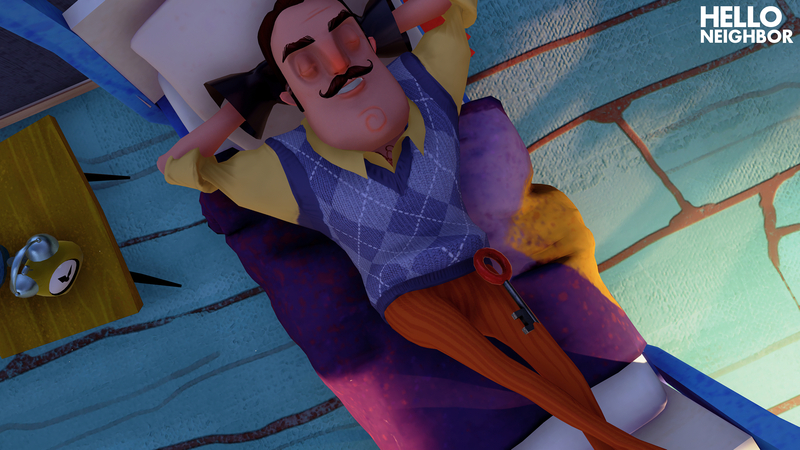 For more on the Hello Neighbor game, take a look at which items you need and where to find them so you can reach the Hello Neighbor ending, and learn how to be super stealthy with our guide to breaking and entering.